Contextuaily occupies a peculiar position in quantum theory, it is an even more fundament property than entanglement. Entanglement occurs in quantum systems that consist of space-like separated parts or—more generally—in systems whose observables belong to disjoint Hilbert spaces. The latter is the case for instance for spin, path and energy degree of freedom in the single-neutron systems, where entanglement and Contextuaily may coexist – but contextually does nor require entanglement in general. Apart from Bell’s theorem, there exists a second powerful argument against the possibility of extending QM into a more complete theory, namely the Kochen–Specker (KS) theorem. The KS theorem sets certain constraints on classes of hidden variable theories, more precisely non-contextual hidden variable theories, which try to explain the apparent randomness of quantum mechanics as a deterministic model featuring hidden states. 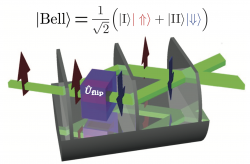 Up to date alle experimental tests of quantum contextuality based on the Bell-Kochen-Specker (BKS) theorem have demonstrated that not all observables among a given set can be assigned non-contextual eigenvalue predictions, but have never identified which specific observables must fail to do so. We have now overcome this hurdle by demonstrating that BKS contextuality can be confined to particular observables by pre- and postselection, resulting in anomalous weak values obtained in neutron interferometry. The Kochen-Specker (KS) Theorem sets constrains on hidden-variable theories which try to explain the randomness of quantum mechanics in terms of a as a deterministic theory. 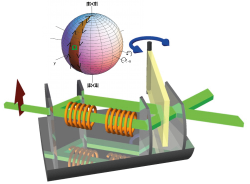 We perform experimental tests of the Kochen-Specker theorem based on an inequality derived from the Peres-Mermin proof, using spin-path (momentum) entanglement in a single neutron system. 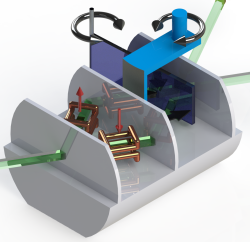 In our recent experiment we demonstrate localized quantum contextuality in a neutron interferometric experiment. The remarkable discovery made by John S. Bell, namely that quantum mechanics cannot be counterfactual (definiteness of results prior to measurement) and local (physical objects are only influenced by its immediate surroundings) gave rise to a number of experiments probing the foundations quantum mechanics. 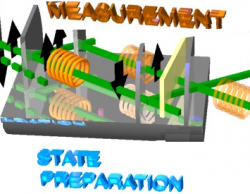 We prepare our neutrons in a spin-path entangled state and measure correlations that arise between observables of otherwise independent degrees of freedom in the single neutron system in order to validate the presence of entanglement. Greenberger–Horne–Zeilinger (GHZ) and W states represent two very different kinds of tripartite entanglement. We prepare entanglement between the spin, path, and (total) energy degrees of freedom, in a single-neutron system. 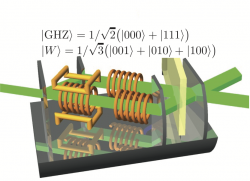 We implemented a triply entangled GHZ–like states, as well as W states, and coherently manipulated relative phases of two-level quantum subsystems.